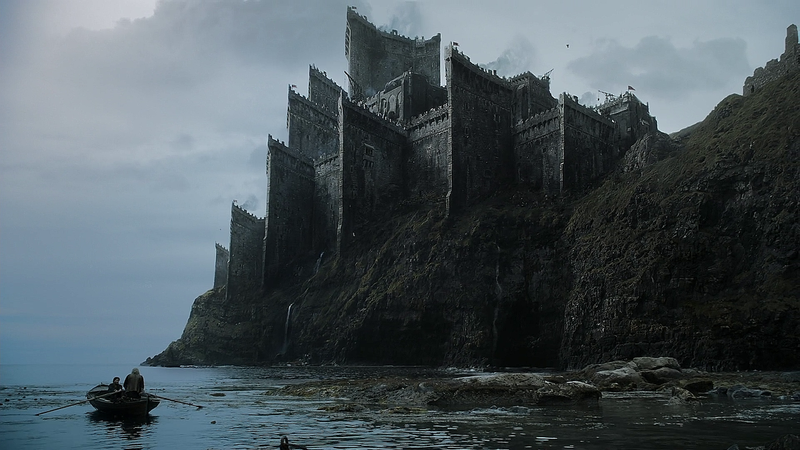 The Dragon's Mouth, better known as the Black Keep, resides above the stony worn cliffs of the Dragonstone Isles, located at the Western Coast. Named so for it's resemblance of great, black teeth raising from the ground, the Dragon's Mouth serves as the capital for the Kingdom of the Dragonstone Isles and its notoriously hardy and resilient people. Here, Robert Arristone the Second Of His Name, Warden of the Sea, Lord of the Dragon's Mouth and King of the Dragonstone Isles, takes his seat on the Throne. For the most part, the Great Halls of the Black Keep are quiet, with only the occasional conversation between Lords and Vassals being noticable. In the throne room, there is but King Robert himself, flanked by his Kingsguard, making conversation with Ser Davos Seadrake; Hand of the King and Lord of Leviathan's Abyss. "Your Grace, word travels from the west of a blight from the Pychekian lands, one which has caused the affllicted to suffer a most terrible fate. Of which, I do not precisely understand, but still a most miserable and unfortunate existence." "Hm, have the officials at the ports observe new arrivals closely. Whilst I do not wish to create a state of paranoia and solitude, should this blight spread to our fellow Northmen we would do well to remain vigilant, to ensure that this blight does not wreak havoc upon our lands." "Of course, Your Grace. And, as another matter, I believe you may be well aware of the rumours in court of plans for the arrangement of the marriage of your son Bran to Lady Maya Callistan of Jotun. As it would-"
"I have little time for rumours in my court, but I suppose one could say they are not altogether untrue. I have given some consideration to such an arrangement, yes. Not only would it bind our Houses together, but it would also strengthen Lady Maya's position as the future Queen of Jotun, whilst granting our House a stake in Jotun itself. Yet.... I have not entirely found the words for such a proposal." "Of course, Your Grace. Please, as soon as you are prepared, inform me and I shall assist you at once." "In fact, Ser Davos, I believe I may do so now. Please, fetch a scroll and a quill." In response to Jon Callistan's invitation of King Robert to visit his halls, both the King and his third son, Bran, depart from the Black Keep on a galley headed east across the Jagged Sea. In his absence, King Robert has appointed Hand of the King Sea Davos Seadrake as acting ruler of the Isles until his return.